-The one hand opening features is perfect for minimum movements within a patrol base or other close quarter situations. -I keep the MP600ST w/in reach to hammer out any protocol deviation that may arise, making solutions "Too Easy." Great tool. Quite versatile and great price. Excellent customer service. The Gerber 30-000588 MP600 ST Sight Tool provides everything I need. I never leave home with out it. I've carried one for over 3 years now and have never borrowed a tool from anyone. This one multi-tool more than serves its' purpose. It is indestructible! I never leave home without out my gerbers! 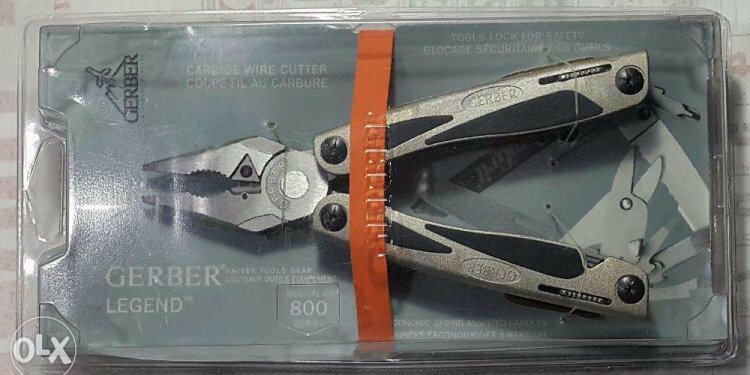 On par with with leatherman at a much better price. Use my all the time, high quality and great tool selection. The best warranty! The best workmanship! The Best design! The Best durability! The best one hand opener! This will be the FIRST AND LAST TOOL YOU WILL EVER NEED! I love this knife it's great for most things. I use this knife for scouts. I wish they'd make the bottle opener bigger. very durable construction and like the stell good job gerber! Nothing against Gerber, as I use and love just about everything they make. But how the heck are you people who "want one" giving an item a five-star review. You clearly do not HAVE one and should certainly not be giving it a rating until you do. On that note, this thing really is wonderful. I use it at work on a daily basis. My only complaint, as others have also pointed out, is that replacement parts are about IMPOSSIBLE to find/get. Used one the whole time I was a DS and loved it. Bought my own and the front sight post adjuster broke the first time I used it. Need a replacement part but can't find one!